Radio station KFDC, KFPY's and KXLY's predecessor was born at this site. The Department of Commerce issued a Class A limited provisional license to the Radio Supply Company for KFDC to operate on 360 meters (833 kHz) effective 21 November 1922. In a 1975 interview, pioneer broadcaster Ed Craney recalled that the station first broadcast on 18 October 1922. 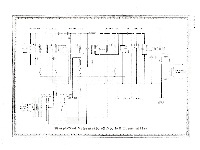 KFDC's license records reveal that the antenna was an inverted "L" with three copper wires, type #14 braided, spaced 20 inches apart, and that was stretched between two wooden towers. The wire was estimated to be 45 feet above the ground and the horizontal length was 75 feet. The vertical length was 45 feet, making the total length 120 feet. 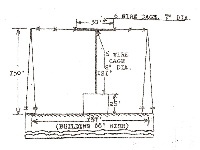 The records state that the ground connection was 25 feet long and was connected to a water pipe or a counterpoise. The license authorized the station to use 10 watts, but the Applicant's Description of Apparatus specified 5 watts. The transmitter was a composite vacuum tube telephone type. Ed Carney revealed in 1975 that the transmitter was actually a modified home-brew amateur radio rig that he had been using. According to the station's license, KFDC was authorized to broadcast on 1060 kHz on 29 May 1923. The Radio Supply Company allowed the KFDC's license to lapse on 28 August 1923 and The Department of Commerce deleted it on 19 September 1923. In March 1924, Tom Symons, Ed Craney's boss, re-applied for a license, this time under the name of Symons Investment Company. The Department of Commerce granted it one to operate a station with a callsign of KFPY on 1060 kHz effective 23 April 1924. KFPY continued to use the composite vacuum tube type transmitter at the same location as KFDC but made some minor changes to it. 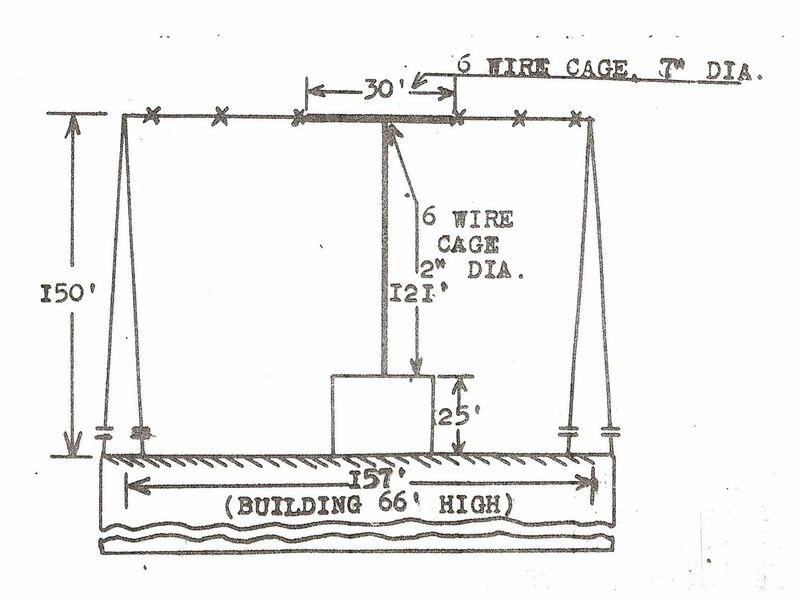 The Applicant's Descriptions of Apparatus of March 1924 and later stated that a 90-foot long wire antenna was installed between a wooden tower and a tower made of both wood and steel. The antenna was 110 feet above the ground and was a flat-top "T" type. A counterpoise composed of four wires 155-feet long spaced 30 inches apart was employed. The license allowed for a maximum power of 100 watts. Craney, who continued to work for Symons, noted that the counterpoise was installed in a false roof on top of the Symons Building. The Department of Commerce records do not reveal where KFPY's towers were mounted. However, Ed Craney noted that the entire station was moved to the roof of the Symons Building. This would make sense since the records reveal that the antenna was a flat-top "T" type and the transmitter shack would have been in the middle of the two towers. Several improvements were made to the transmitter plant, until the station installed a Western Electric Type 6B 1-kW transmitter in the Symons Building's penthouse in 1933. 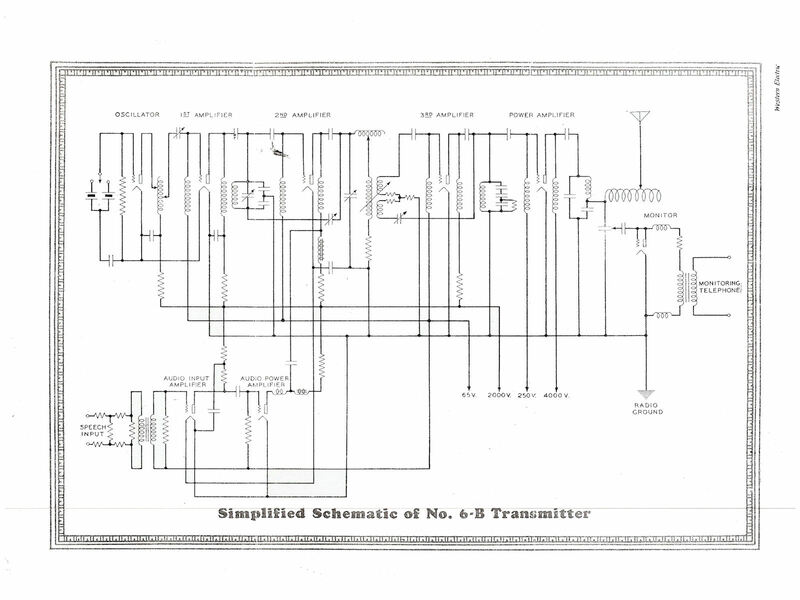 George Langford in a telephone interview with Thorwald Jorgenson in 1975 provided some details of this transmitter. This transmitter fed an antenna mounted on the building's rooftop. This transmitter was removed in 1937 and was used at the station's Moran Prairie site. After KFPY moved its transmitter plant to the Moran Prairie, the Symons Building continued to serve as the home to KFPY's and later KXLY's studios and offices. Click here for more information about KFPY's move to the Moran Prairie. 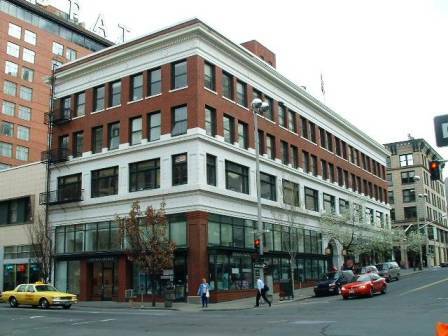 After KXLY moved their studios out of the Symons building, Paul Carter and his Sound Recording Company had studios there, according to Paul Quam who worked there. 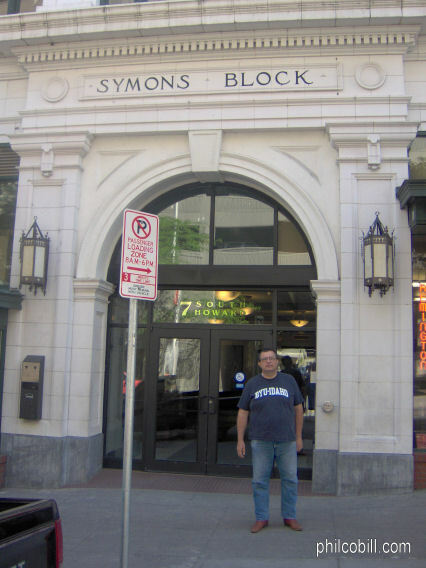 Picture of the Symons Block taken on the Southwest corner of Howard and Sprague. The main entrance to the Symons Block. Applicant's Description of Apparatus for KFDC. Radio Service, Bureau of Navigation, Department of Commerce. Washington, DC. 21 November 1922. Applicant's Description of Apparatus for KFDC. Radio Service, Bureau of Navigation, Department of Commerce. Washington, DC. 28 August 1923. Applicant's Description of Apparatus for KFPY. Radio Service, Bureau of Navigation, Department of Commerce. Washington, DC. 23 April 1923. Craney, Edmund. Interview by Bill Moore. 19 December 1975. Washington State Association of Broadcasters Oral History Project. Olympia, Washington. Langford, George. Telephone interview by Thorwald Jorgenson in 1975. Spokane, Washington. License for Land Radio Station for KFDC. Radio Service, Bureau of Navigation, Department of Commerce. Washington, DC. 21 November 1922. License for Land Radio Station for KFDC. Radio Service, Bureau of Navigation, Department of Commerce. Washington, DC. 28 August 1923. License for Land Radio Station for KFPY. Radio Service, Bureau of Navigation, Department of Commerce. Washington, DC. 23 April 1923. Symons Block, South 7 Howard Street. license record and important changes. KFPY 6 Mar 1929 Appplied for CP for frequency change to 1470. No action taken. CP application voluntarily withdrawn. KFPY 15 Dec 1929 New License - Share time ends. KFPY 20 Apr 1934 890 Authorized to use portable xmr 890 with 10 watts in daytime to make field intensity readings in preparation for change of xmr location. Main frequency remained 1340 at 1000 watts.